Skiing is an exciting sport. It can get extreme, but it can be beneficial to your body and mind, too. Gliding down snow-covered slopes can strengthen your bones and joints because as you turn and move your body quickly, your knees and legs have to endure the weight they take on. In addition, skiing can improve your cardiovascular endurance. This sport allows you to burn calories and lose weight. Amid the excitement and benefits that skiing provides, however, you may not achieve them without the right ski attire and gear. Some ski clothes can provide comfort and protection without sacrificing style, like a pair of white ski pants from Bogner. Without proper ski attire, you may sustain injuries and jeopardize your health. Wearing the right clothes can protect you from extreme cold and potential hazards along the way. Doing so lets you enjoy an ultimate ski experience, as well. Exposure to subzero temperature increases your risk of hypothermia, a condition in which your body loses more heat than it can make. Hypothermia can be fatal, especially if not treated right away. Symptoms may include clumsiness, shivering, tiredness, and confusion, among others. Proper attire also protects you from the harmful UV rays. Despite the cold temperature, there are still UV rays that can damage your skin. That’s why sun protection is necessary since you’ll spend long hours outside. What to Wear When Skiing? A base layer – this is what you wear next to your skin, which wicks away moisture from your body to keep you warm. An insulating layer – this mid-layer moderates your temperature. A waterproof and windproof shell – this prevents cold air and water from getting in while releasing the moisture from your sweat. Winter sports, like skiing, can increase your risk of head-related injuries, including concussion, whiplash, and neck strain. That’s why it’s essential to invest in quality helmets. The headgear can also protect you from the cold temperature. In the US, 80 percent of skiers wear helmets. You should also wear protective covering that can shield your eyes against sunlight and other hazards. Goggles provide better protection than sunglasses. 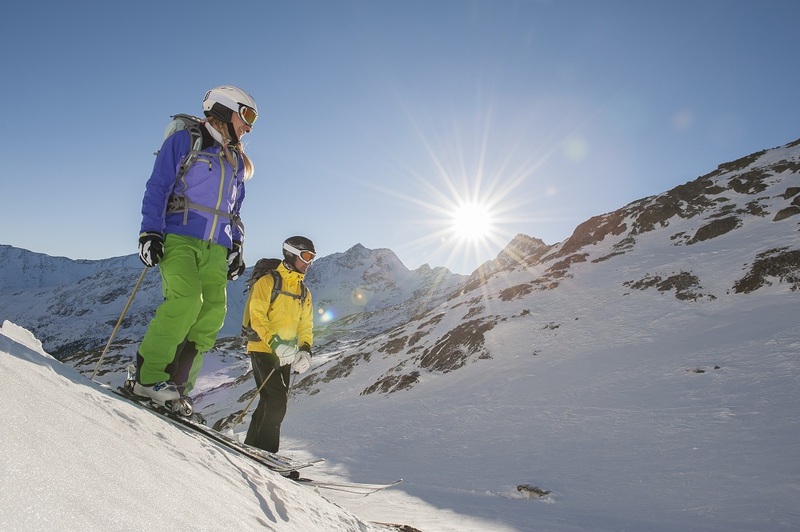 The right accessories can improve your safety during your ski trip. Wearing an appropriate pair of ski boots can enhance your performance and lessen your risk for injuries. A pair of quality socks can also keep your feet warm while you’re skiing. Plenty of shops that sell ski clothes and accessories. Quality ski products, however, can be costly. Despite that, you can still find affordable options without compromising on quality and performance. You may find ski shops and outdoor equipment retailers that host annual ski swaps. The stores and even customers sell their used gear at garage-sale prices. It’s important to get to the stores early for the best deals. Apart from local swaps, you can find discounted items from major sale events, shop rental dealers, and online shops. If you ski regularly, spending the extra cash for proper gear and clothing is essential. High-quality items can last longer so you can use them for different seasons. 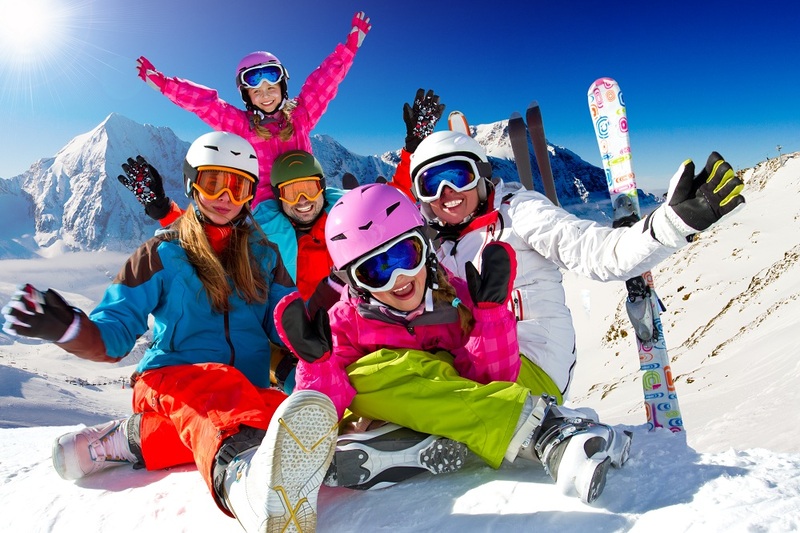 Proper protection allows you to enjoy every ski trip without worrying about your safety.